weighed down by shackled feet. How dare I make any excuse. How dare I not persist. The sweat of old is still fresh. I dare not, I said I dare not, let them down. the body of Black culture maintains its pace. Promise passion whilst evoking fears. Tug at the heart in the body of Black culture. Who can quell the fears of men? Who dream Black bodies avenging them? Likewise Black culture can’t forget. Poppy Seed, Angela Harvey, is a performance poetry act that delivers a concept of conscious poetry and live music that educates, entertains and inspires. It has been described as being “on the cusp of poetry and song. Poppy Seed’s latest release ‘Coming Through’ features some of her hottest grooves and unique genre”. Poppy Seed is a life coach and committed to Human Rights by using her art to highlight Social justice campaigns; and to celebrate cultural diversity. In this light her eloquent activism has ‘won’ her title ‘Warm Revolutionary.’ Her music has coloured soundtracks, most recently Motherland another groundbreaking award winning film by Director Owen ‘Alik Shahadah about the incredulous journey of African people. 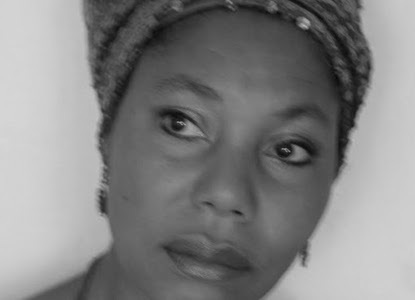 and won awards including Best Poet from Black Women in the Arts UK, and ‘The Nina Simone Award for Black Women in Jazz’ 2009. Coming Through is the current defining Album. Preceded by the taster album A Taste that is available through online outlets as a limited edition and a gem.